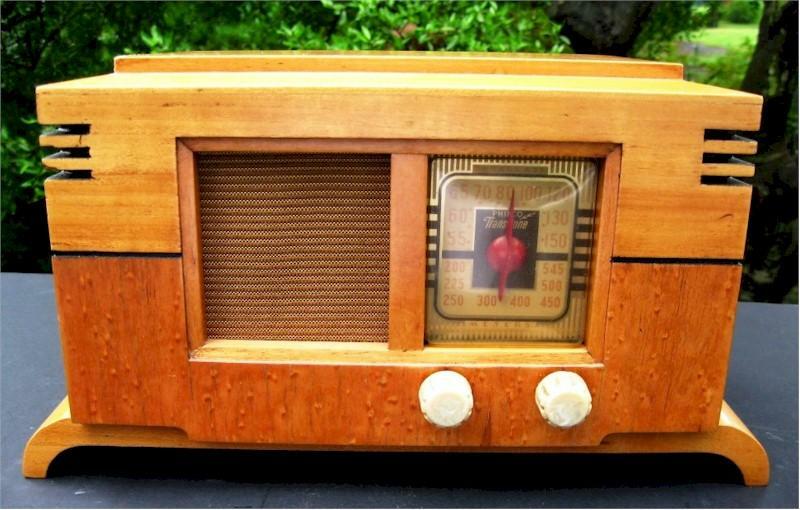 This Philco is one of the must-have radios in any collection. You will not find one in better original finish condition than this set. Beautiful burled maple finish with no cosmetic issues. Full original back, grille cloth and original label on the bottom. The chassis has been completely checked out by a professional and the radio plays perfectly. About 10"W x 6-1/2"H x 6"D. The bottom legs add about an inch on each side. You are visitor number 2,619 to this page.